Build your own NBA championship dream team! The biggest stars of basketball are stepping off the courts and into Pop! Vinyl boxes. 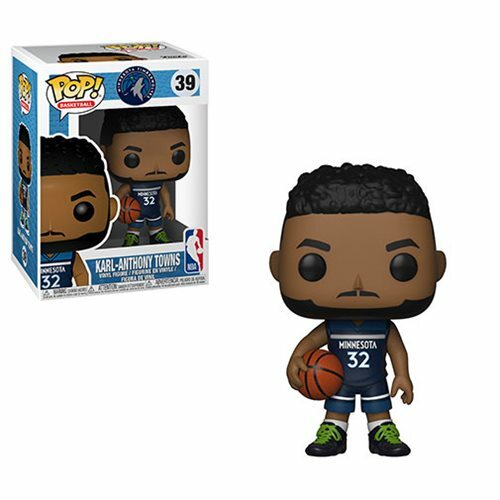 This NBA Karl-Anthony Towns Timberwolves Pop! Vinyl Figure #39 measures approximately 3 3/4-inches tall and comes packaged in a window display box. Ages 3 and up.